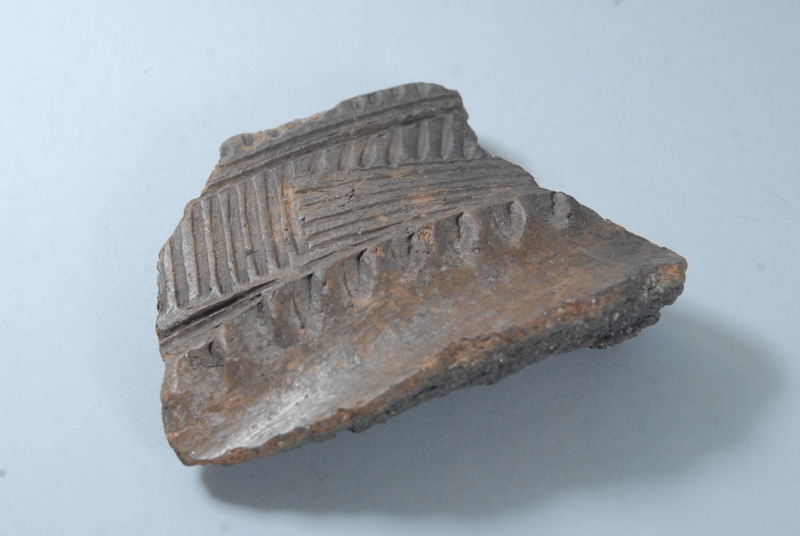 The MacLeod archaeological site, located at the corners of Thornton and Rossland Roads in Oshawa, is a Lake Ontario Iroquois village dating from 1450 A.D. It is one of the first known settlements in the Oshawa area. It was first discovered in the fall of 1967 on the property of Howard MacLeod. Several groups excavated in different areas of the site until 1972. The village was located on 3-4 acres and consisted of five longhouses surrounded by a high protective wall or palisade. During the excavation, portions of two of the longhouses were uncovered. The larger of the two, the Alpha house measured 58 metres in length and 8.2 metres in width. The interior was arranged to allow several families to live together. A row of hearths was located down the centre of the house and holes in the roof allowed smoke to escape. Sleeping benches were located down either side of the longhouse. 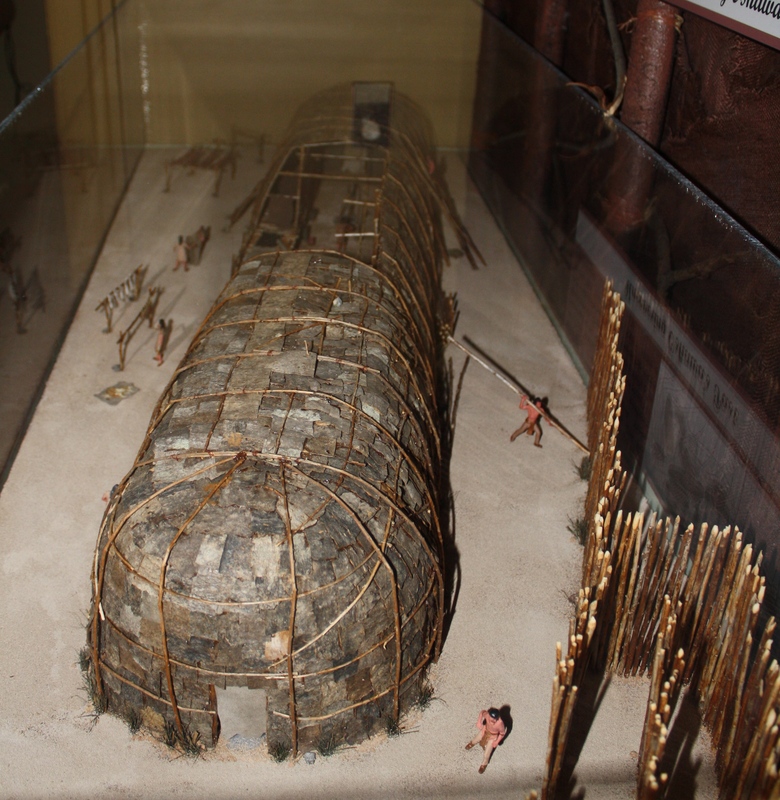 A replica of one of the longhouses is on display at the Oshawa Community Museum in the Grandview Site Gallery. The inhabitants of the MacLeod site were agriculturists and did not generally hunt large game. They subsisted on diet of corn, beans, fish, small game and wild plant foods which were gathered. Charred remnants of corn and beans were discovered at the site. The women were responsible for planting, tending and harvesting the crops as well as gathering foodstuffs such as nuts and berries. 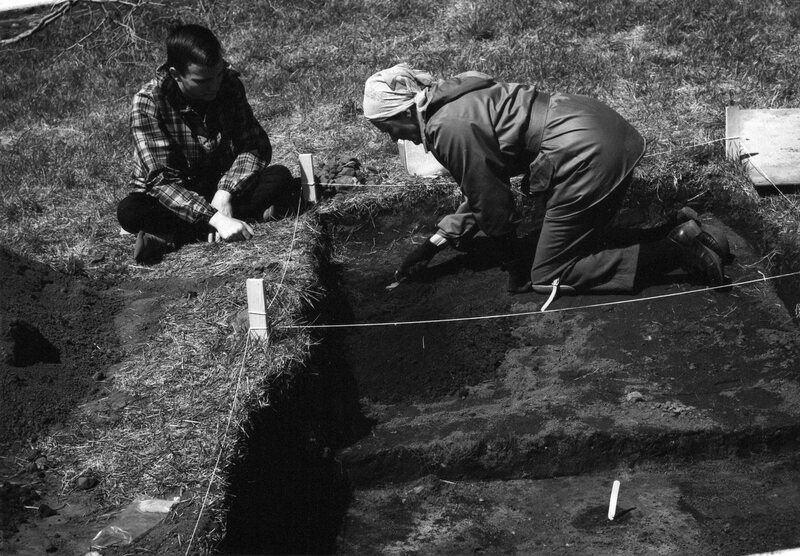 Over 18 000 artifacts were uncovered at the MacLeod site of which the vast majority were ceramics, lithics (stone) and worked faunal specimens (bone). A large number of ceramic pipes were found at the MacLeod site. Pipes were generally made of clay and shaped around a grass core which burned off once the pipe was baked leaving a hole in the middle. An interesting specimen from the MacLeod site is the reptile effigy pipe bowl. Lithics or stone tools were prominent amongst the artifact assemblage. Projectile points were the major hunting tools of the Lake Ontario Iroquois and were roughed out from pieces of chert or flint by striking them with a large stone. Most of the stone tools found at the MacLeod site were made of chert found on the north shore of Lake Erie or in the Trent Valley. The natives used bone to make a number of tools and ornaments including beads, awls (used to pierce skins) and scrapers (used to scrape bits of fat from animal hides). 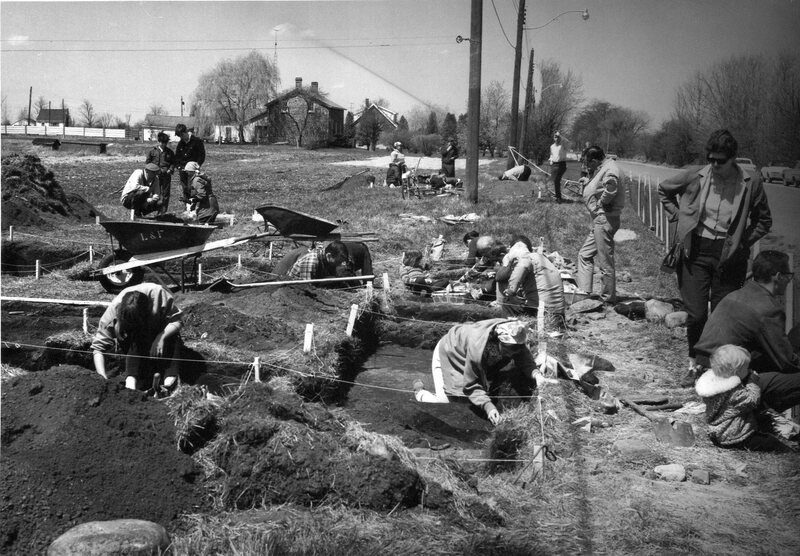 Archaeologists believe that MacLeod site was abandoned after a period of twenty years possibly due to the fact that the fields had lost much of their fertility. In addition, game and trees from the surrounding forest had probably been depleted as well. The majority of the artifacts from the MacLeod site are housed at the University of Toronto, Scarborough Campus while some remain a part of the educational collection of the Oshawa Community Museum. The Oshawa Community Museum is proudly hosting Digging Up The Past: International Archaeology Day on October 18, 12-3PM. Please Join Us! This entry was posted in Around Oshawa, Museum Events and tagged Archaeology, Archives, artifact, Heritage, Historical, History, International Archaeology Day, Local History, MacLeod Site, Museum, Oshawa, Oshawa Community Archives, Oshawa Community Museum by oshawahistoricalsociety. Bookmark the permalink.